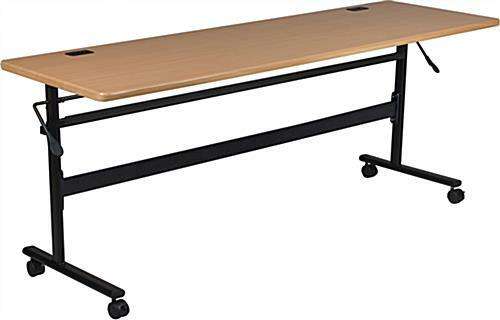 These teak training tables make great computer desks because they come with (2) cable management holes. 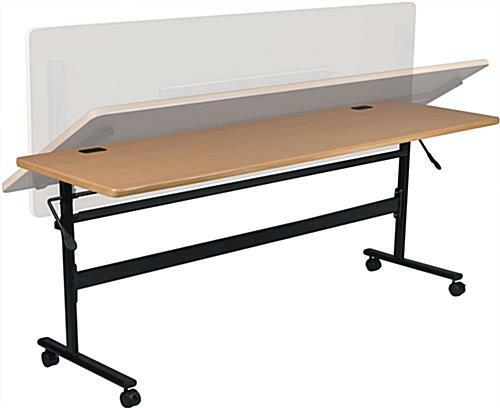 The stands are easy to store because their PVC tabletop can flip upwards to lie flat against walls and other fixtures. 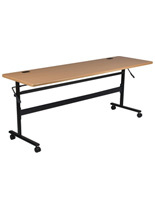 This makes the training tables great for classrooms, mess halls and offices because of their ability to be moved. 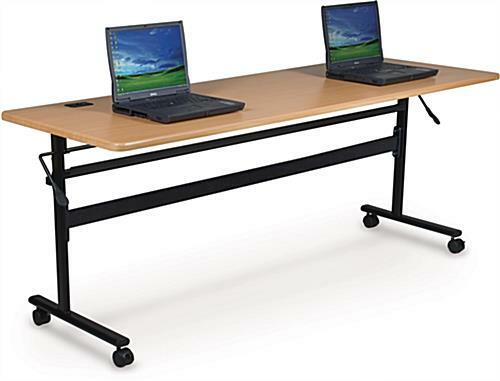 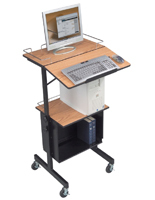 The computer desks are made of sturdy PVC and steel that will last for years, even in high traffic environments. 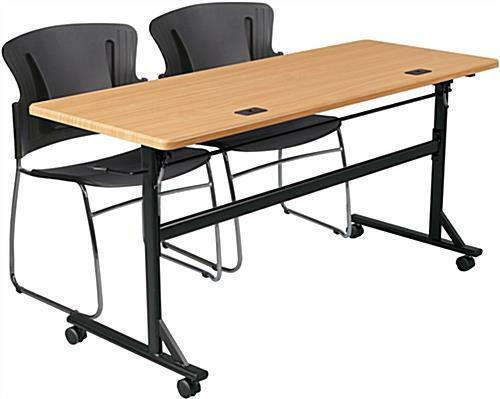 The tables for offices and classrooms feature (4) caster wheels that can lock for stability. 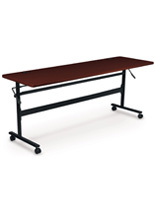 The stands are also available with a deeper mahogany finish. 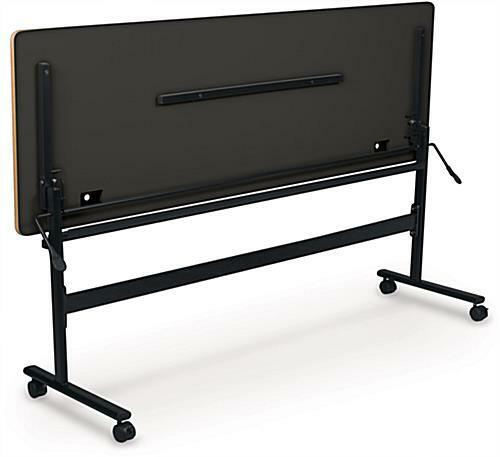 72.0" x 29.5" x 24.0"